This Cradle Mountain Day Drive Itinerary goes via Mole Creek on the way out, and via Sheffield and the farmlands on the return trip. Cradle Mountain lies at the northern end of the Cradle Mountain – Lake St Clair National Park and is easily accessible by road. There is an excellent Interpretation Centre at the gates of the Park, and it is worth dropping in for information on the geology, history, topography, flora and wildlife of the area. It was in the early 1900’s that Gustav Weindorfer, a recent immigrant from Austria, first became interested in the area and protecting it for the enjoyment of future generations. He established the original Waldheim Chalet and was instrumental in promoting Cradle Valley as a tourist destination as early as 1920. Access was very limited, however, until the construction of the sealed road in 1965, with the Cradle Mountain – Lake St Clair National Park being declared in 1971. It is a part of Tasmania’s World Heritage Listed Wilderness Area. 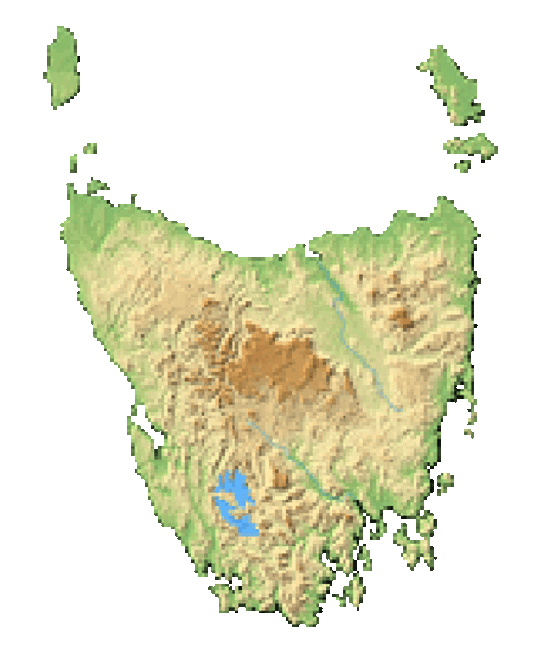 This is a part of Tasmania that is very geologically diverse. The whole region having been shaped by glacial erosion and deposition, with many of the mountain, lake and valley features reflecting these processes. Vegetation ranges from dense rainforest to open grassland, and Cradle Mountain is home to a range of wildlife including Tasmanian Devils, Quolls, Echidna, Platypus and Wallabies. Leave Launceston on the A1 and head towards Deloraine, Devonport and Burnie. It is worth taking the turnoff roads to meander through the villages of Hagley and Westbury if desiring a closer look at these charming rural towns. The little park on the left as you are about to leave Westbury is a particularly good place to stop to stretch your legs or enjoy morning tea. Similarly, it is worth leaving the main A1 Highway to drive through Deloraine. Mole Creek Caves tour (formerly Marakoopa Cave tour), Tasmania, Australia. Image thanks to Tourism Australia & Graham Freeman. Cradle Mountain, Tasmania, Australia. Image thanks to Jack Mohr Photography. Waldheim Alpine Spa at Peppers Cradle Mountain Lodge. Image thanks to Tourism Tasmania & Josh Bradshaw. Sunset in Main Street, Sheffield, Tasmania, Australia. Image thanks to Tourism Tasmania & Kelly Slater. Launceston on the Tamar River, Tasmania, Australia. From Deloraine, take the B12 Mole Creek Road to Mole Creek. The Cafe at the Mole Creek Guest House is a good place to stop for refreshments if required. The Mole Creek Karst National Park is the home of the Mole Creek Cave system, including the famous Marakoopa and King Solomon’s Caves. Consider stopping for a guided walk through the cave system. Stay on the B12 road as it winds though thick bushland and becomes the Mersey Forest Road, and then Olivers Road. This will be a winding, though very scenic route. Olivers Road will T-junction onto the C136 Claude Road. Turn left to Cethana and cross Lake Cethana itself. The road then climbs back onto the tablelands to join the C132 Cradle Mountain Road. Turn left onto the C132 and follow it as it comes out onto a plateau area. Watch for the signpost showing the turnoff to the left to Cradle Mountain, and follow the C132 to the gates of the national park. The Visitor Centre at the parking area is the best place to start your visit. The interpretation section is excellent. They also advise on weather conditions and walk safety. A shuttle runs from the Visitor Centre into the National Park to visit Cradle Mountain and Dove Lake. The price of the shuttle is included in the National Park Entry Fee. There is a wide range of walks available in the area, though it is always a good idea to check the expected weather conditions at the Interpretation Centre before venturing into exposed areas. Weather in the area can change with alarming speed, so sensible precautions are advised. Discuss your walk requirements with the staff at the Visitor Centre. If the weather is cold and rainy, get under cover and relax in front of the wood fire at Cradle Mountain Lodge. Lunch in their Dining Room or Bistro Bar is a treat. On the return trip to Launceston, consider taking a different route to drive through some very attractive farmland and rural scenery. Follow the C132 road back towards Devonport, but do not turn off onto the C136 that you came in on. Go straight ahead on the C132 to Wilmot. Stay on the C132 to Lower Wilmot, drive through Lower Wilmot and as the road dips towards the river, watch for the turnoff to the Paloona Road. Turn right onto Paloona Road and take the right turn onto Paloona Dam Road and wind through the forest until it joins Lower Barrington Road. Take the right turn onto Lower Barrington Road and drive to Lower Barrington. At Lower Barrington turn right onto the B14 Sheffield Road and follow it to Sheffield. Sheffield has been dubbed “The Town of Murals” for good reason, and is worth a visit. Refreshments are available from the shops in the town. Visit Sheffield, "Town of Murals"
Stay on the B14 Road to Railton. At Railton, turn right onto the B13 Railton Road and follow it as it winds through some very pretty farmland to join the A1 at Elizabeth Town. At the A1 Bass Highway, turn left to visit the Ashgrove Cheese Factory a few kilometres towards Devonport. It will be on your left. From the Ashgrove Cheese Factory, turn right onto the A1 and follow it back to Launceston.